Maintaining records is a part of any business, like it or not. Though many records are now stored electronically, there are many businesses that still prefer paper copies or have to rely on them. There are also businesses that have to hang on to old paper records for a variety of reasons. These documents often contain sensitive, confidential personal information about the company itself or about those they serve, including financial information, legal histories, contact numbers, and more. It’s the responsibility of these companies to not only maintain these records, but to keep them safe and secure as well. So what do you do with all these records? You can’t let them pile up in your office. You need a safe place to store them where they can stay secure and you can have peace of mind. At Marrins Moving, we offer secure document storage for medical, legal, real estate firms, and more. 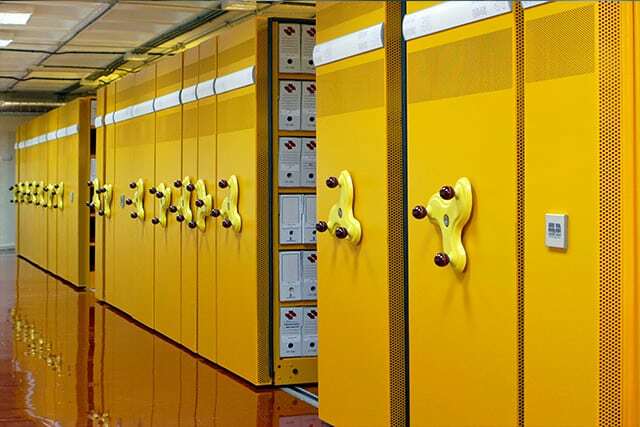 Our records storage is completely trusted and reliable. This service is beneficial because it allows businesses to free up valuable office space with compliant offsite control of needed documents. Secure shredding is also available through Marrins Mooving if needed to take security a step further. We tailor to needs of businesses of all sizes for one-time and periodic shredding. Contact us today to find out more about our document storage and shredding services.